Is Your Body Sending You These Serious Health Alarms: PMS, Mood Swings, Painful Periods? 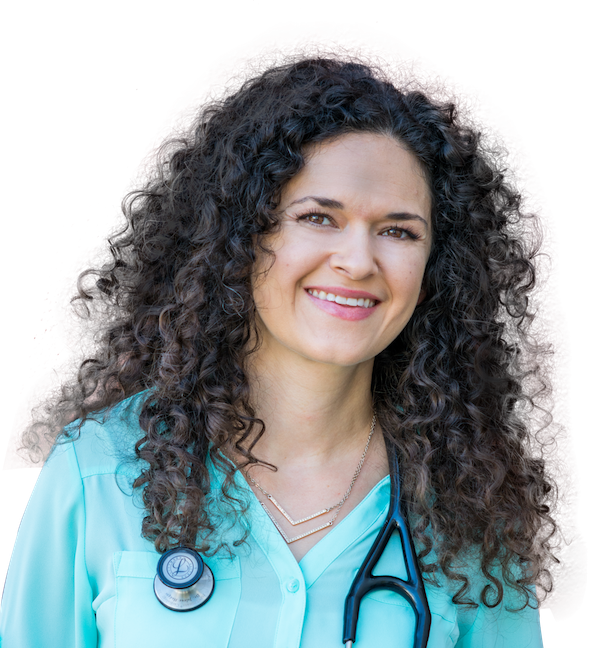 I’m a Functional Medicine Doctor and I want you to know they can be corrected… And if you do NOT fix them your disease risk is highly increased. Hi there! I'm Dr. Jolene Brighten. I was once incredibly fatigued with mood swings and acne. I would sleep 12+ hours per night only to feel like I was dragging just to get through my day. My mood would fluctuate—going from anxious to irritable depending on the situation. My nerves felt raw and my patience was scarce. And my periods were far from ideal—cramps, bloating and breast tenderness. I was eating whole foods, taking supplements and moving my body as often as possible...but it wasn’t enough. I’d lost my vibrancy...and began to dread the start of each day. If you have low energy, mood swings or any other hormonal symptom then you know how frustrating it is. Our hormones hold the key to great energy, an incredible mood and greeting each day feeling refreshed and excited for the day. Nourishing your hormonal health can improve these symptoms significantly! Getting started can be challenging and knowing what steps to take can be confusing without reliable resources. I want to share with the most useful information to get you started on your journey to creating incredible hormonal health. Improve your energy while restoring the health of your adrenals and thyroid. Create a blissful mood with stress lowering, hormone balancing tools. Learn the best techniques to immediately improve the health and appearance of your skin. What You'll Get: 8 eBooks, hormone supplement guide, a guided meditation, and an audio interview with Dr. Brighten on understanding estrogen and progesterone balance. “I bought this because my husband and I are trying to get pregnant. I was mostly interested in the preconception supplement book and the preconception detox, but once I started opening everything up I realized just how much I need all of this!" If you’re on the fence… And because I’m SO passionate about getting this amazing, life-changing stuff in your hands today… I want to eliminate ANY doubts you may have about whether or not to buy. I’m so confident you’ll love Hormones 101, I’m going to give you TWO FULL WEEKS after you buy to decide if you want your money back. If for any reason you’re not 100% satisfied, all you have to do is drop me a note at [email protected] and I’ll get back to you within 3 business days. You will be taken to a page where you can fill in your credit card details and to select an account username and password. This will be verified instantly and you will be sent directly to your package contents where you can begin taking advantage of all the great resources immediately. You will also receive an email with details on how to access your purchased content. If by any chance, you are not able to validate your card please don’t get frustrated. Just email us at [email protected] and we’ll make sure you’re taken care of. You are willing to do the work and need a solid starting place. You want to improve your hormonal health, rather than just cover up symptoms with a band-aid. You are thinking about becoming pregnant in the future, but not quite yet. You are wanting to create amazing hormones before transitioning into menopause. You’re currently pregnant (focus on your body and growing your small human, hormones will come later). You’re unwilling to make any dietary changes. You are only willing to do the very minimum to improve your hormones.